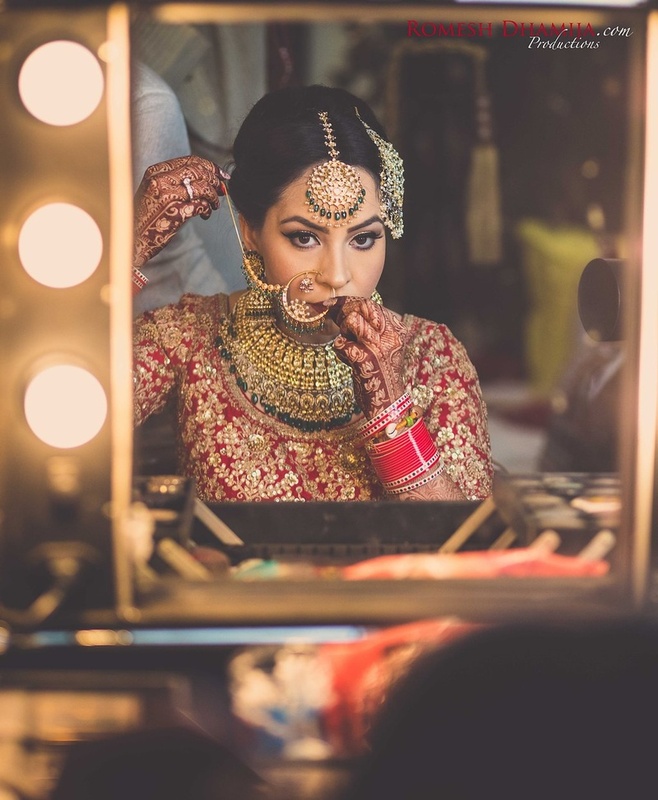 Bride's Sabyasachi wedding lehenga and her gold and diamond jewellery can't go unnoticed. 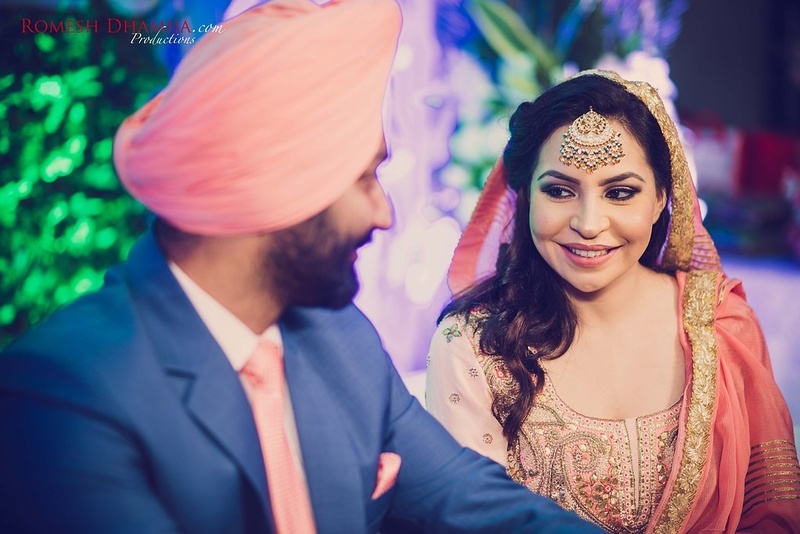 This gorgeous wedding in Ludhiana was everything that one wishes for. 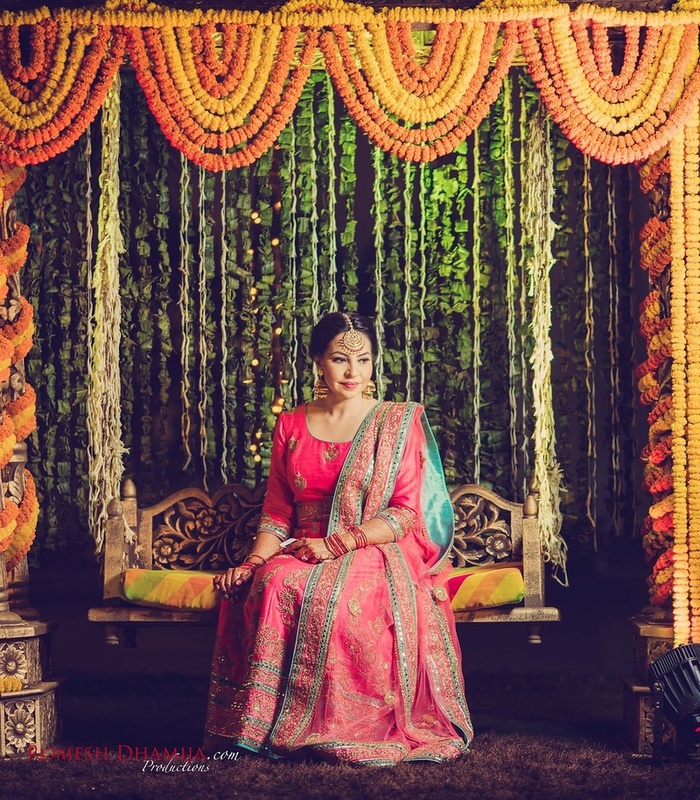 From the wedding attires to the decor, every detail planned personally by the bride was elaborately stunning. 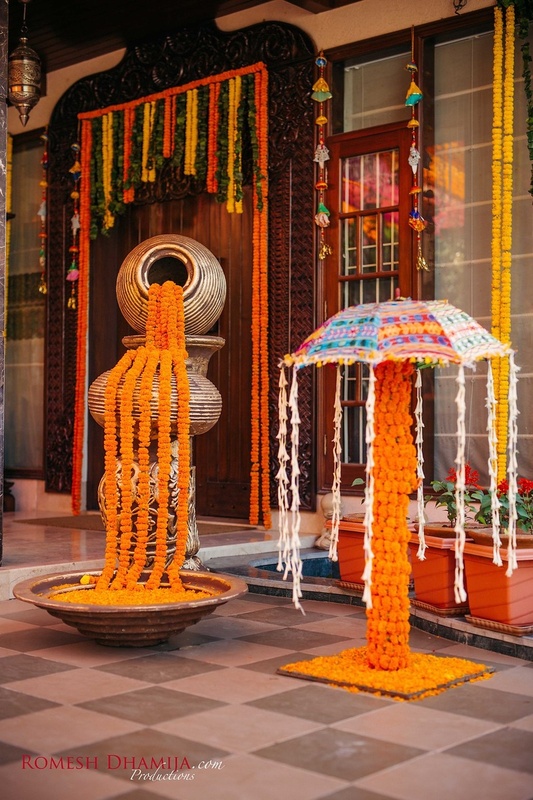 Amongst all the splendour at this wedding, the creative decor is what takes the cake. 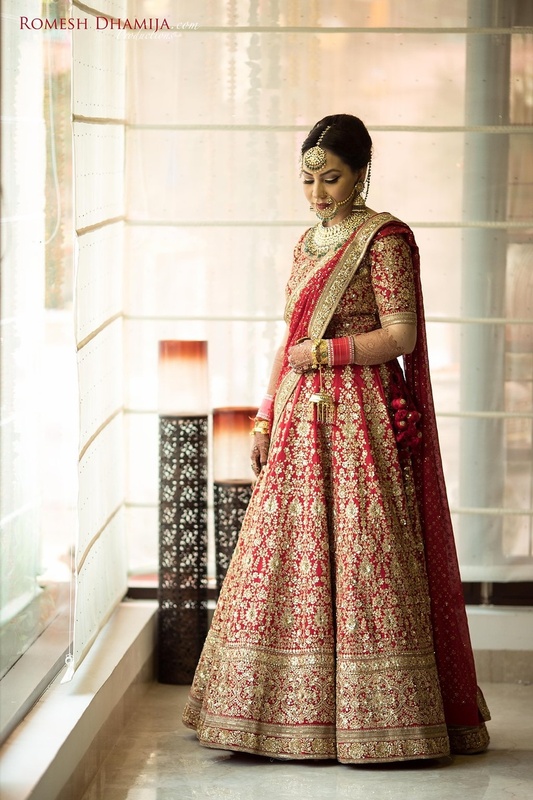 Moreover, the bride's resplendent Sabyasachi wedding lehenga and her gold and diamond jewellery can't go unnoticed. 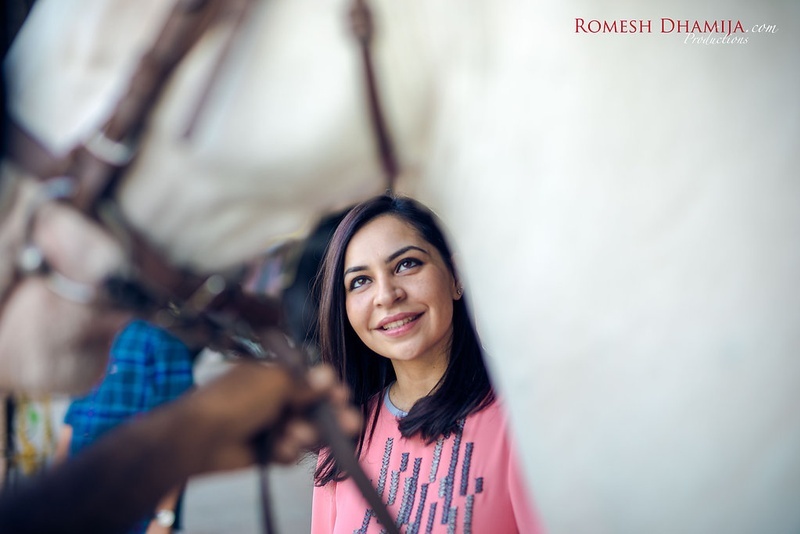 Kudos to Romesh Dhamija Productions for capturing these beautiful moments! 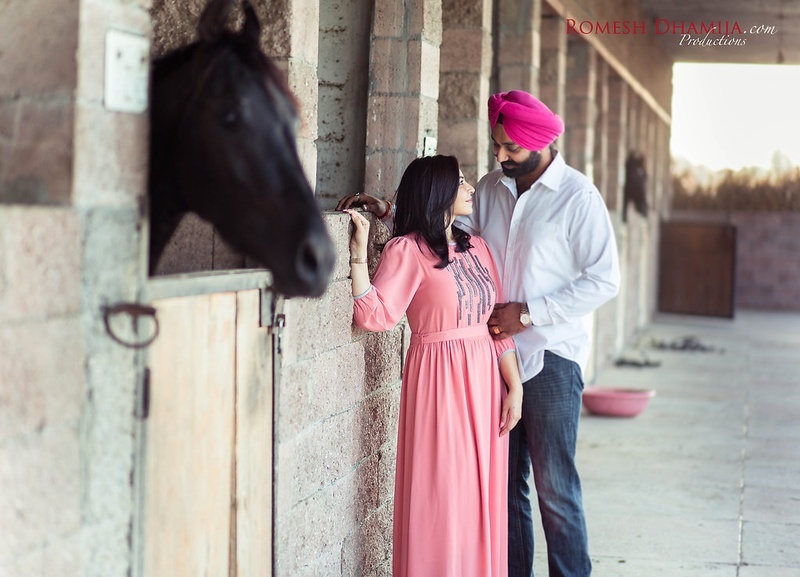 Pre wedding shoot at stable. 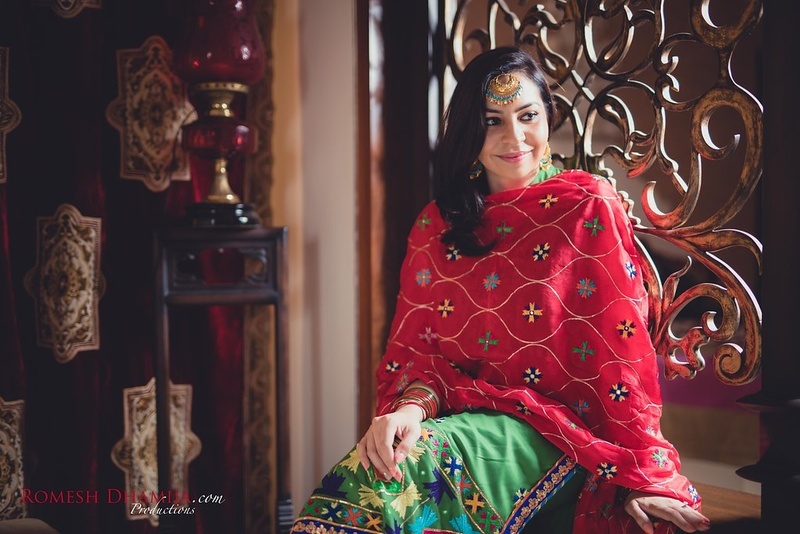 Kushal's close up shot for her pre wedding shoot. 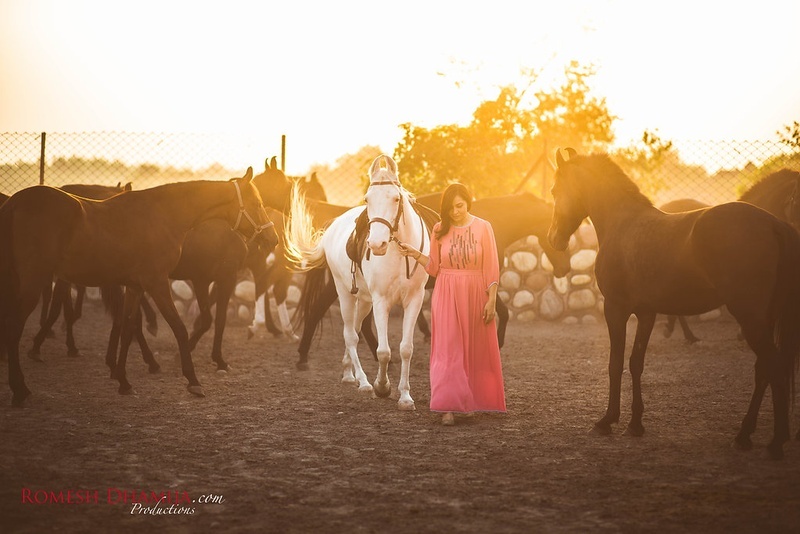 Kushal wearing baby pink one piece dress for her sunset pre wedding shoot. 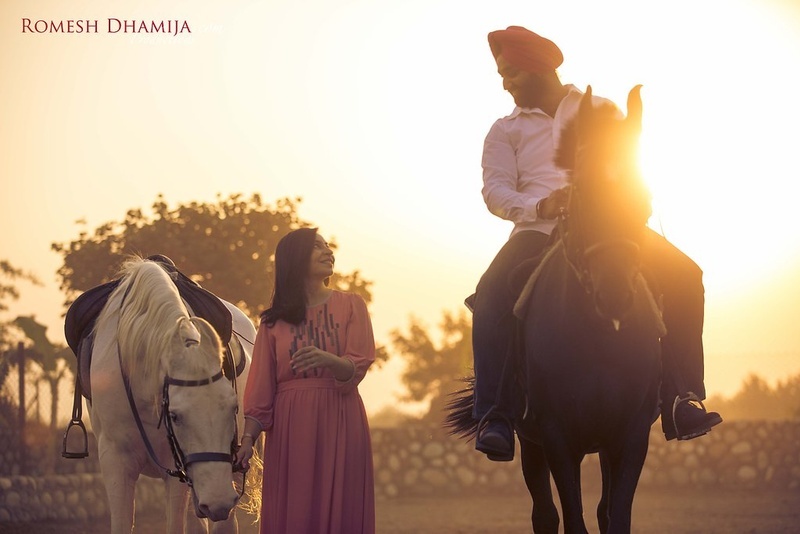 Sunset pre wedding shoot with horses . 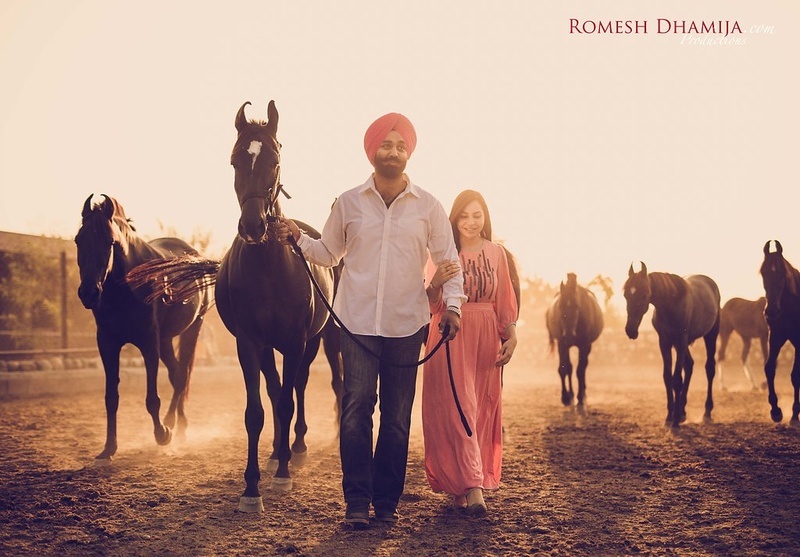 Pre wedding shoot with black horses! 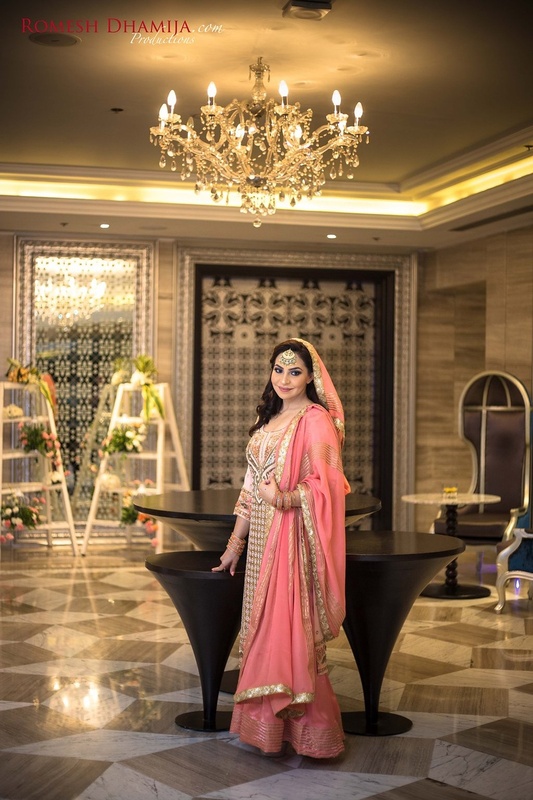 Wearing peach pink and gold salwar suit for the engagement ceremony held at Hyatt Regency, Ludhiana. 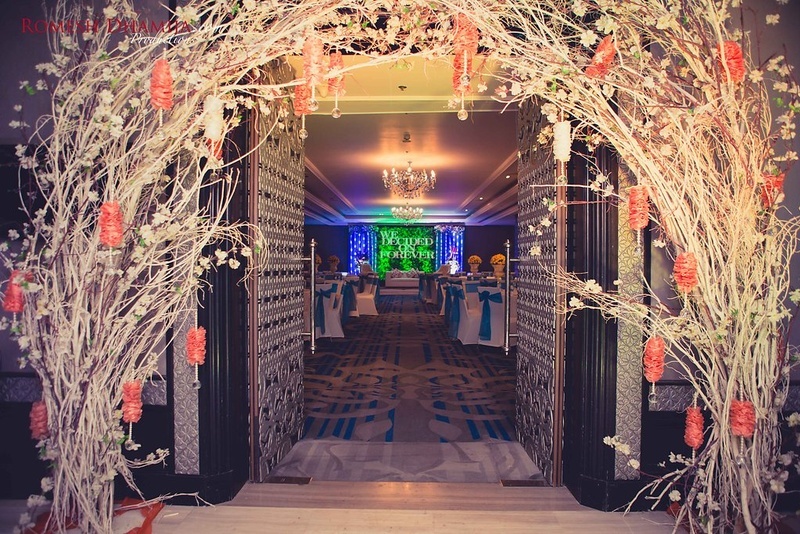 Engagement ceremony venue entrance decor. Bride and Groom entering the engagement venue. Complementing each other with color coordinated attires. 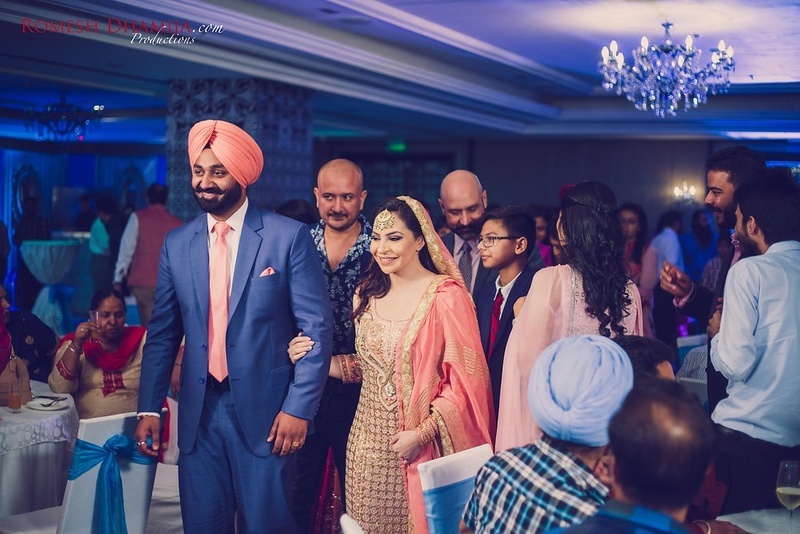 Ring ceremony held at Hyatt Regency, Ludhiana. 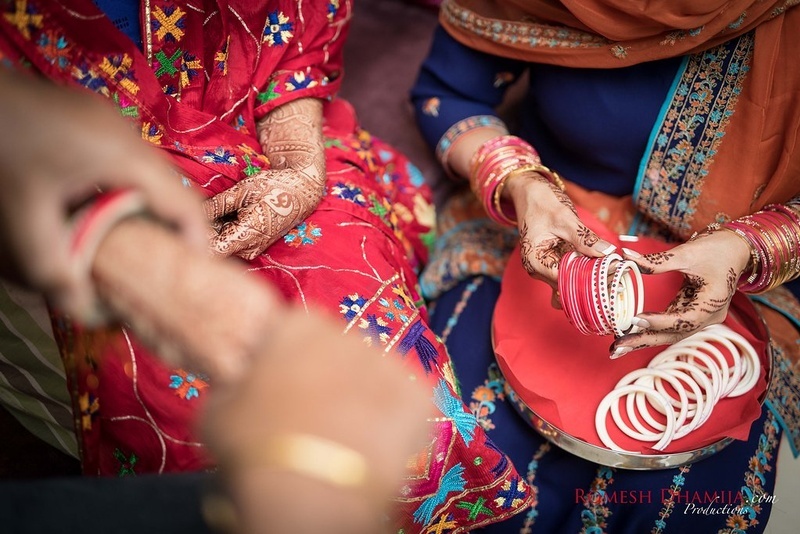 Wedding ring photography by Romesh Dhamija Productions. Wearing red sued Jootis with golden embellishment . Kushal wearing phulkari salwar suit for the mehendi ceremony. 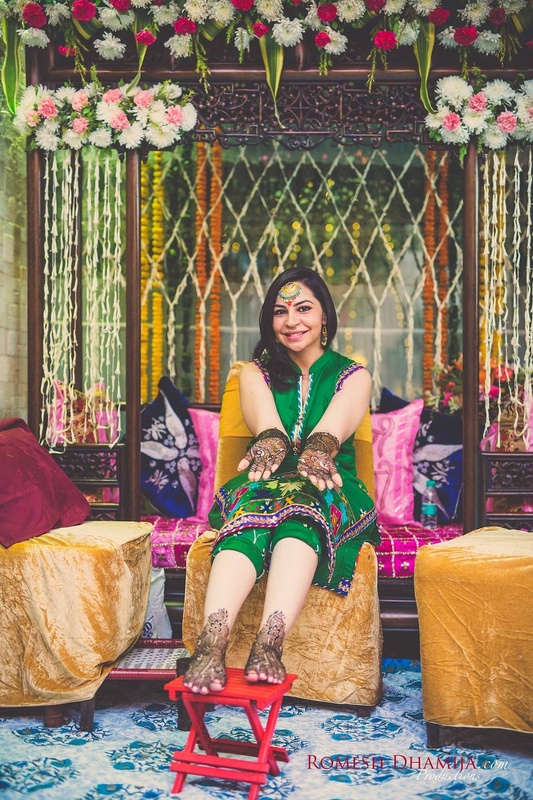 Dressed up in colorful phulkari salwar suit styled with maangtikka and jumkas for the mehendi ceremony. 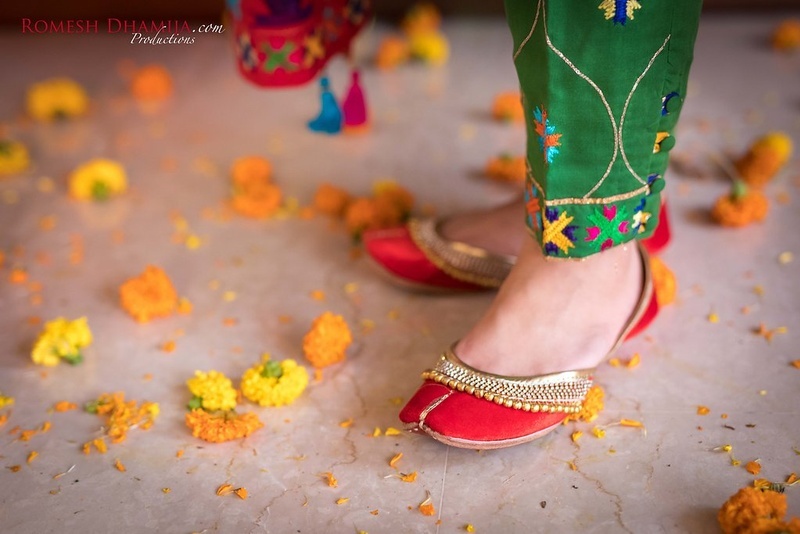 Home decorated beautifully for mehendi ceremony. 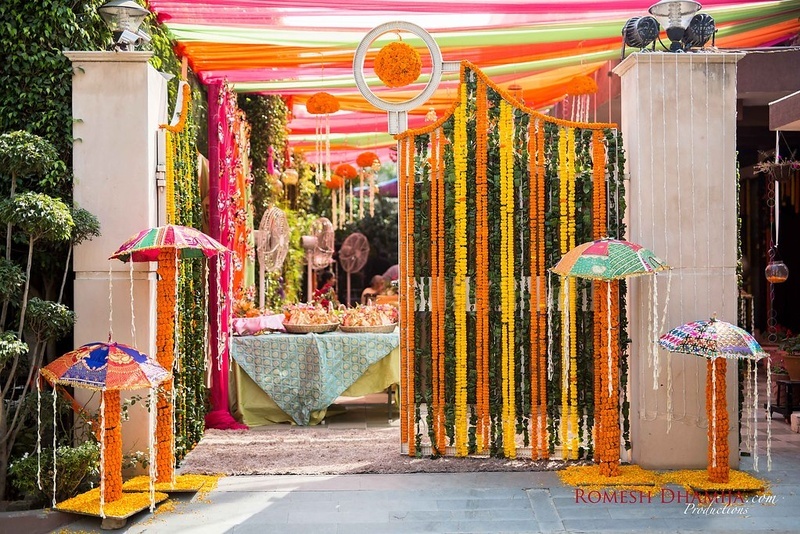 Home entrance decorated with genda phool and rajasthani umbrella decor for mehendi ceremony. 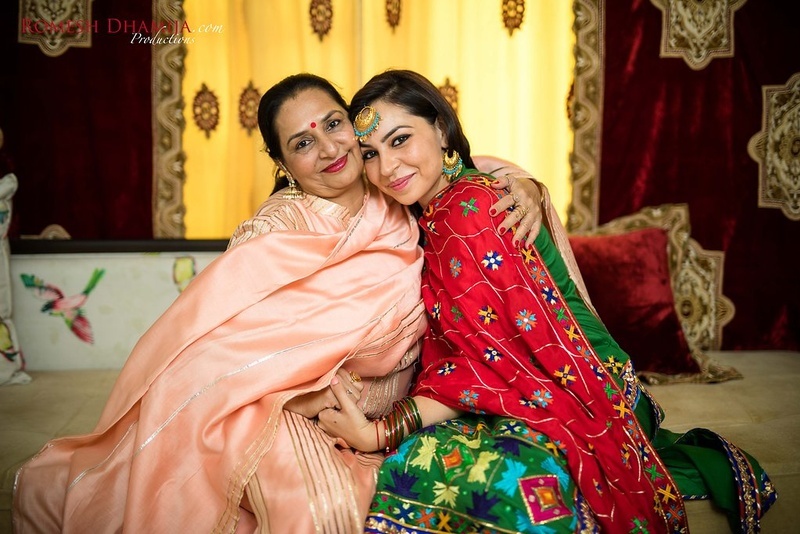 Mehendi ceremony held in Ludhiana. 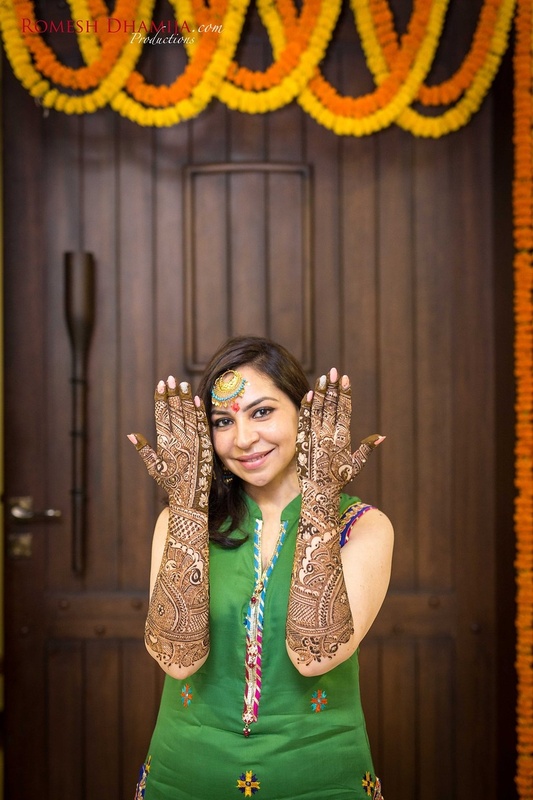 Bride Kushal showing off her beautiful intricate mehendi. 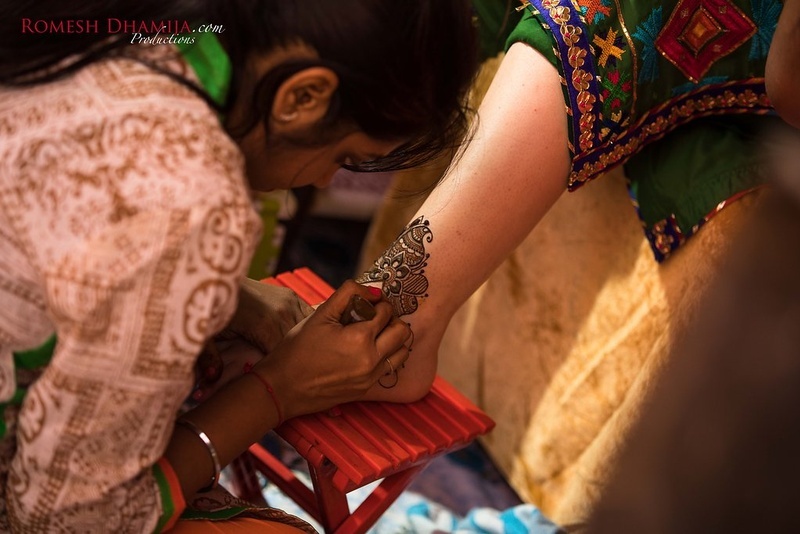 Hands filled with intricate bridal mehendi designs. 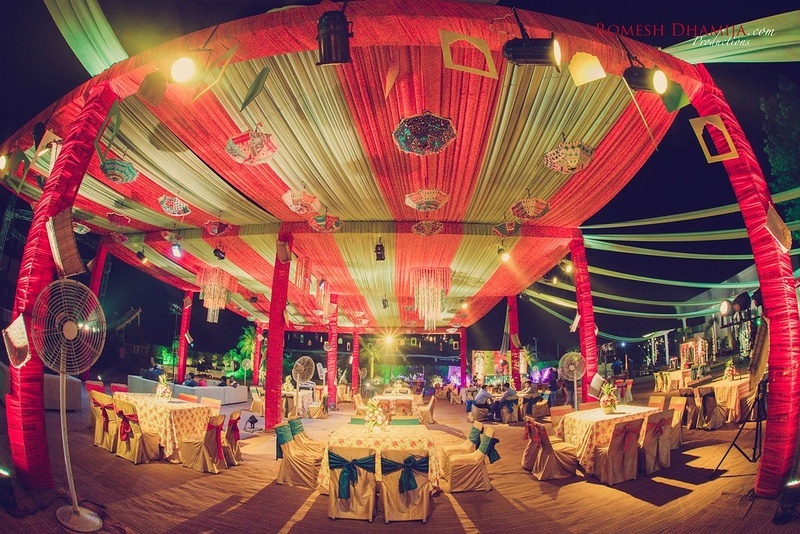 Colorful decor for the sangeet ceremony. Kushal dressed up in pink and turqoise blue salwar suit styled with minimal jewellery and makeup. 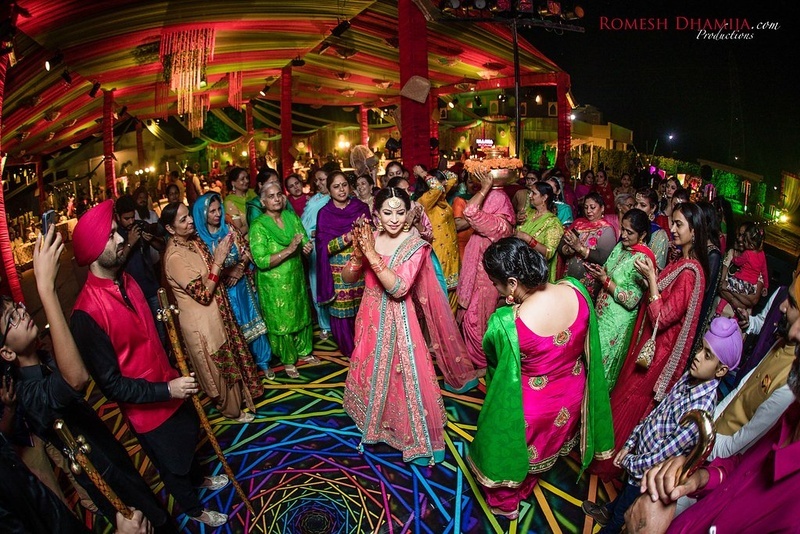 Sangeet ceremony punjabi style, females doing gidda! Haldi ceremony held at home. 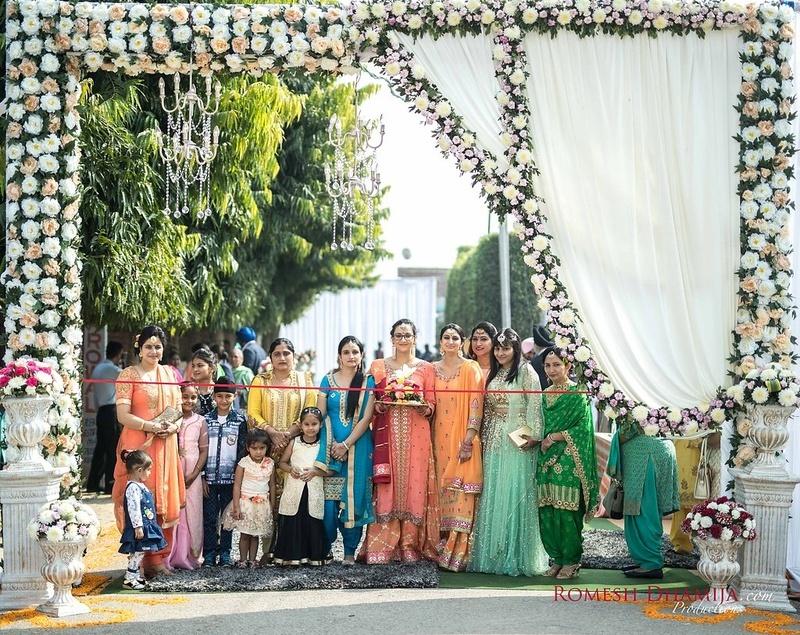 Family members putting haldi to the bride. 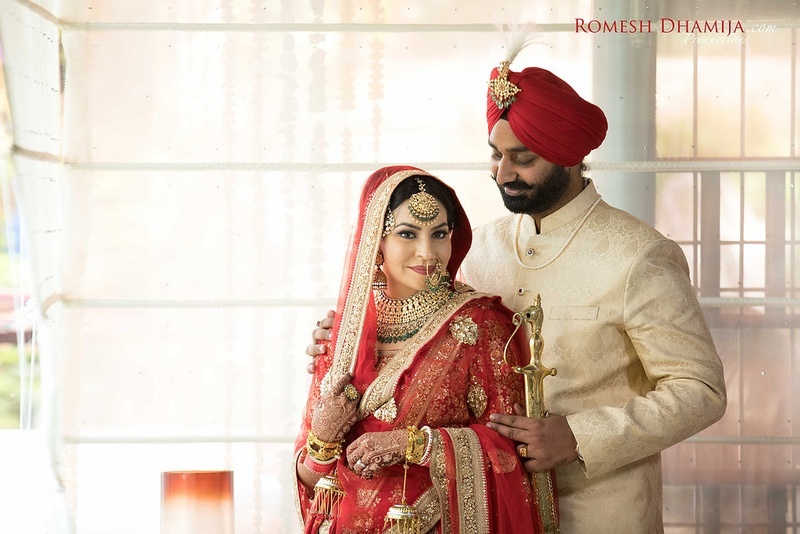 Lehenga photography by ace photographer Romesh Dhamija Productions. 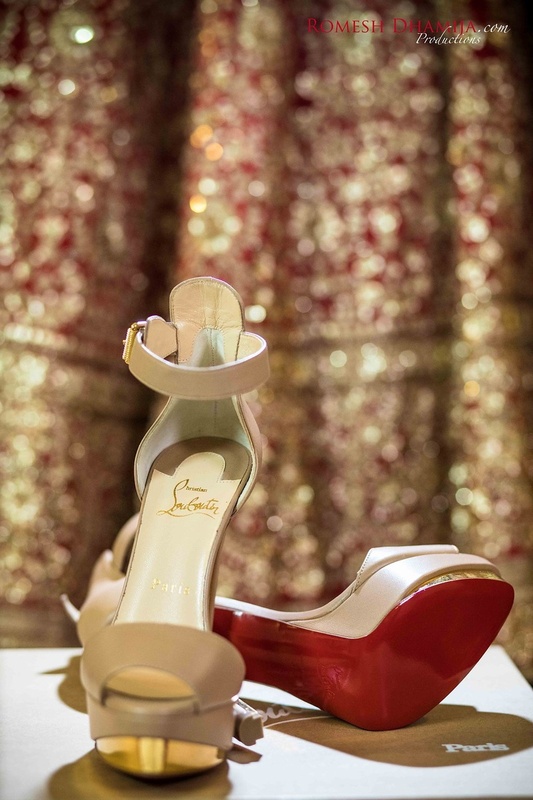 Bridal shoes by Louboutin . 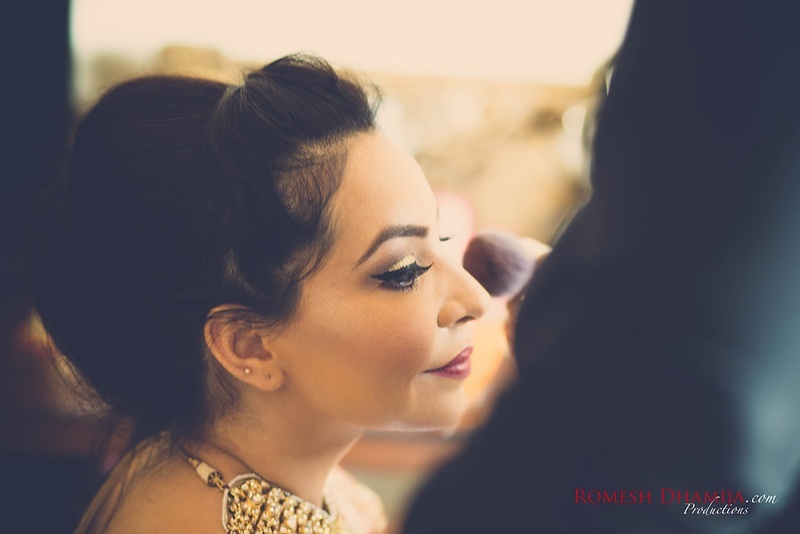 Bridal makeup by Prerna Khullar. 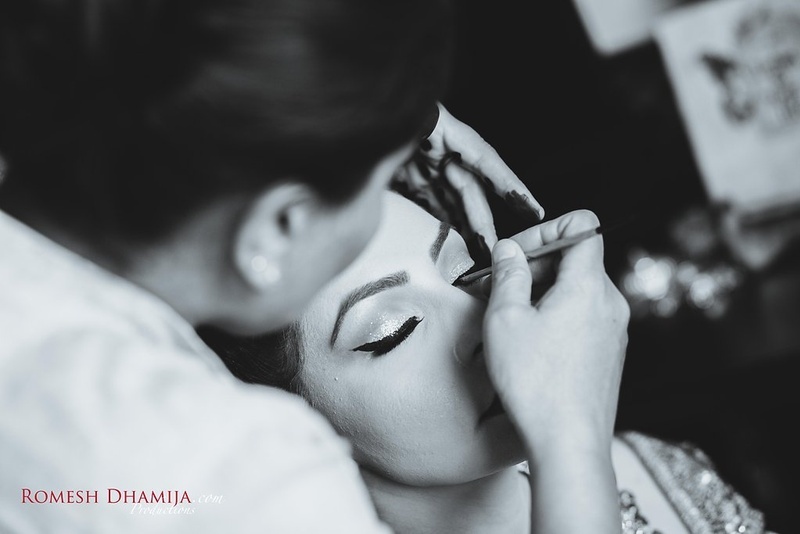 Black and white shot of bride getting her makeup done. 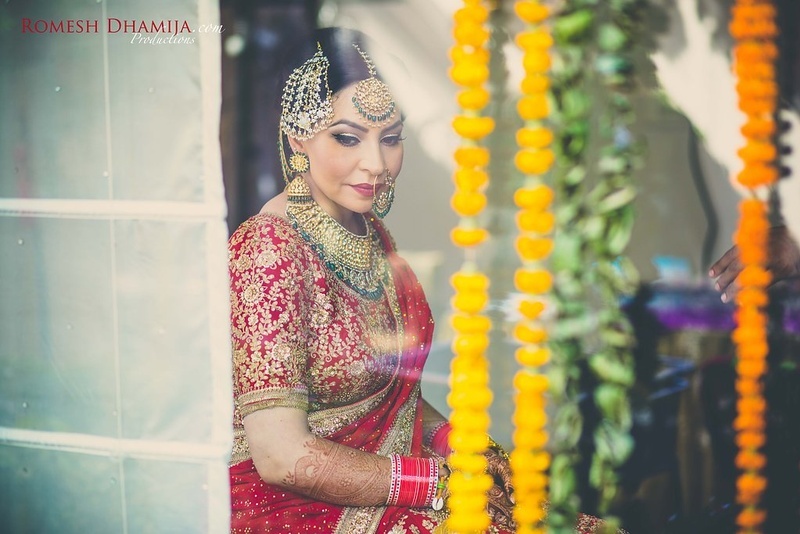 Bride adorned in beautiful kundan and diamond bridal neck piece, nath, maang tikka and passa for the wedding day. 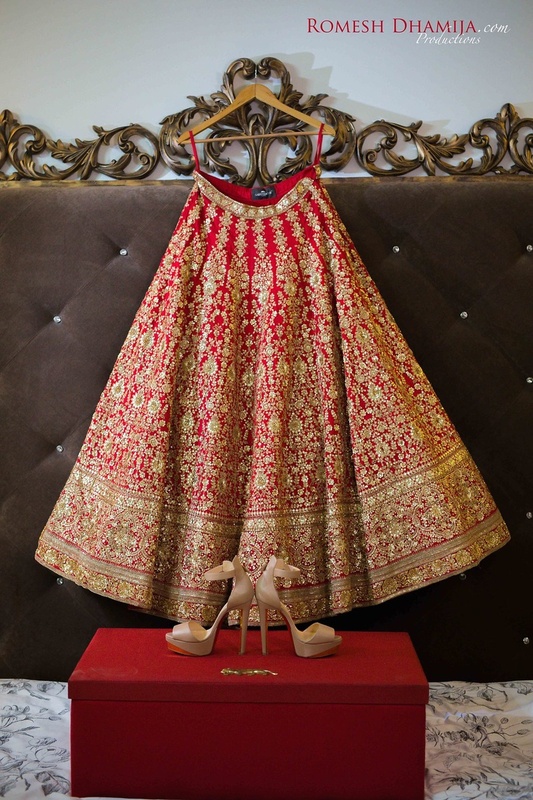 Dressed up in regal red and gold Sabyasachi lehenga styled with royal jewellery and Christian Louboutin bridal shoes for the wedding day! 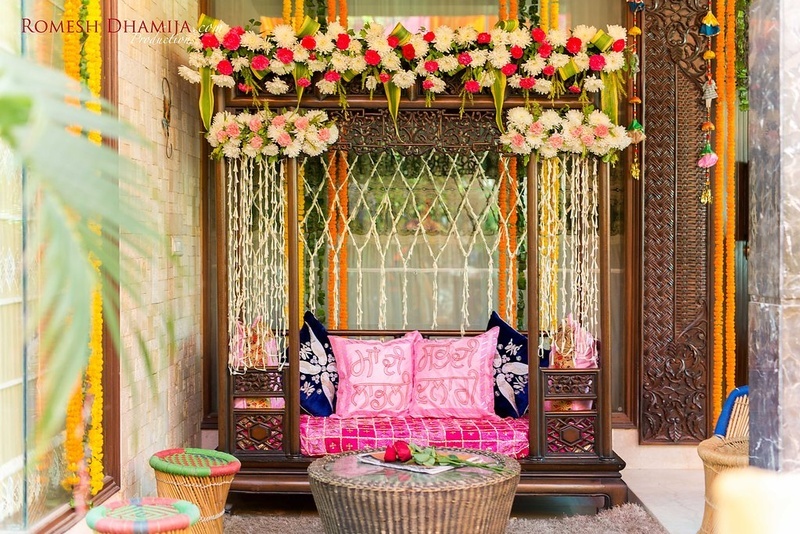 Floral decor at the entrance of the wedding venue. 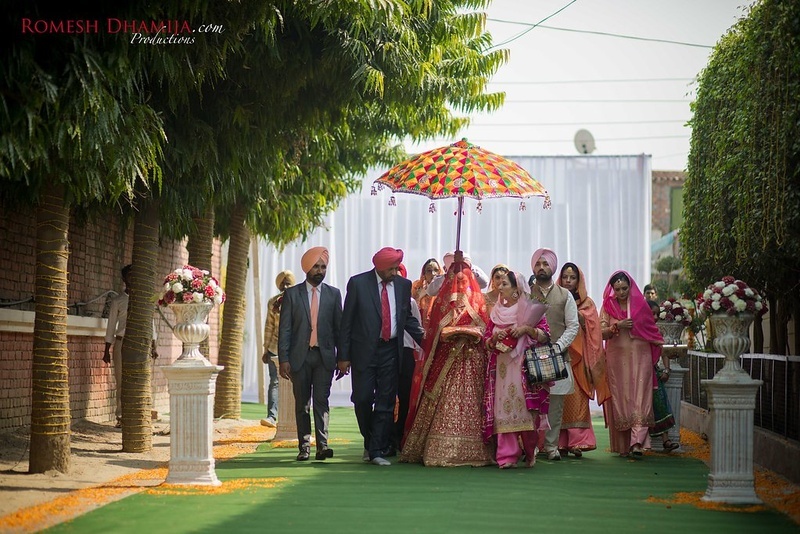 Bride enters royally with a phulkari printed umbrella. 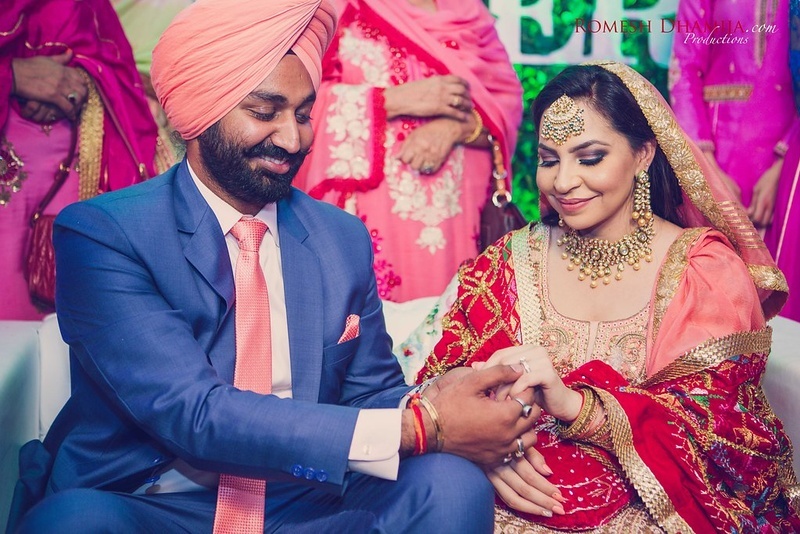 Complementing each other with color coordinated wedding outfits. 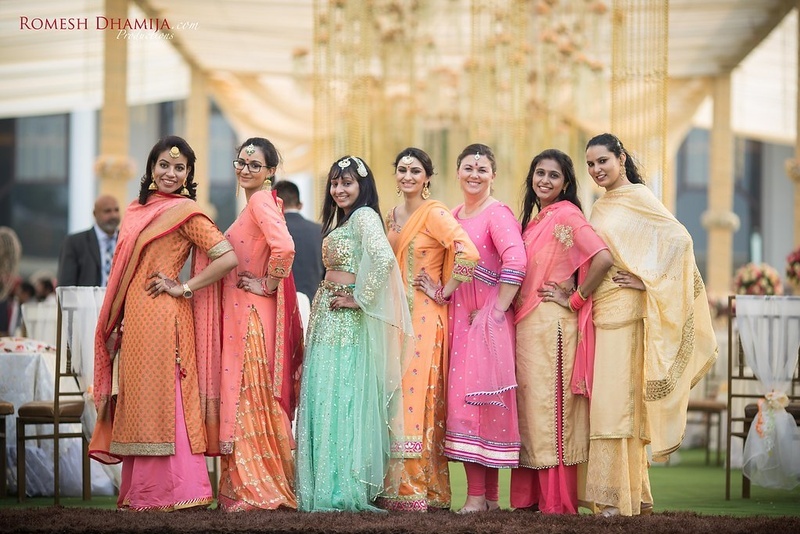 Bridesmaids dressed up in pastel shade outfits. 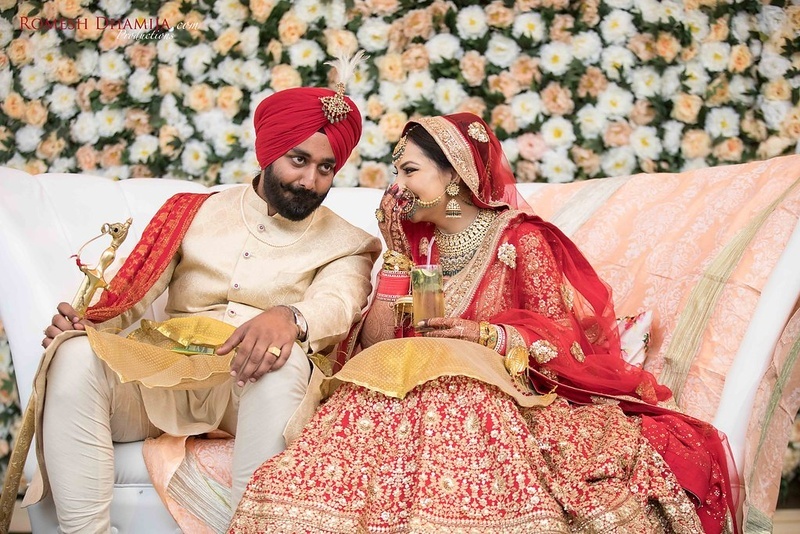 Deep wearing beige and gold sherwani styled with red turban complementing the bride in red and gold wedding lehenga.